From Head Scarves to Hair Accessories, Styles, Tips and More! You know that headscarf that’s been sitting in the back of your closet? Yes the one that you have no idea how to tie! Today is the day you will learn how to wear it! Step 1: Start by putting on your undercover, You can choose whichever color you would like! Step 2: Put the scarf over your head, leaving around two inches of the undercover showing for the layered look. So go ahead and take out that headscarf! You deserve to look gorgeous!!! Time to Start Thinking about Cold Weather Accessories! Where I live, on the East Coast, cooler weather is definitely in the air. Especially in the early morning and evening, its no longer ok to leave the house as is. Time to start thinking about the cold weather accessories for the cooler weather. Now is the time to take down that box on the top shelf of your closet and make sure you are well prepared. Gloves and Scarves have a habit of disappearing in my house. How ’bout by you? Good thing ear muffs are attached or I’d definitely lose half a pair!! So once that box is down, check if you have the pairs you need in the colors you need. Kids and adults will love the colorful gloves and mittens in the softest chenille’s and knits this winter! Check that kids gloves still fit, and a nice way to update the look of a coat from last season is to buy a new pair of mittens in a bright fresh color for a whole new look! Another great warm winter accessory you don’t want to go without is ear muffs or ear warmers. Even if you are not yet wearing a coat, a scarf, earmuff and gloves will keep you toasty. Buy earmuffs in a fun army print for boys or pink leopard print for girls. Have fun with shopping for warm winter gear that will keep you cozy and healthy all winter long! Have You Tried a Pre-tied Bandana Yet? Check Out One Of The Hottest Head Coverings On The Market! Pre-tied bandanas are rapidly making it as one of the hottest and most liked head coverings everywhere. For those of you who don’t know what a pre-tied bandana is, it’s basically a pre-tied headscarf. Instead of buying a head scarf and tying it yourself, simply buy a ready made, pre-tied bandana in the color and pattern you like and slip it on! It is pre sewn with an elastic in the back to hold it securely at the neck. In addition, they are made of comfortable materials such as cotton, lycra, velour and terry for different needs and seasons. A pre-tied bandana can be worn in many ways which makes it a fun head covering! Below are a few different ways to wear a pre-tied bandana. 1. Wear a pre-tied bandana as a partial head covering. Take your pre-tied bandana, put it on your forehead and pull it back till about half way down your head. The rest of your hair should be sticking out. Wearing a pre-tied bandana as a partial head covering is great for those with thin hair, bald spots and those who are starting to lose their hair. 2. Wear it as a full head covering. Slip it on and tuck all your hair under the elastic by the neck. Simple as that! You should have two tails, one hanging down on either side of your head. If you’d like you can leave them hanging or you can make a knot so they should be short and out of your way. It makes a great head covering for those who cover all their hair for religious purposes or those with partial or full hair loss. 3. Try tying your pre-tied head scarf into a bun style! For this style, you will need to buy a pre-tied bandana with long tails (around 10-14 inches) to make it work. Those with hair loss can or a short hair cut can use a Hidden HEIGHT cotton undercover to achieve the same look. Put your hair into a bun and then put on your pre-tied. Then, simply take one of the tails, twist it, and wrap it tightly around the top of the bun. Tuck the excess fabric of the tail under the twist once you have gone fully around one time. Do the same with the other tail and you’re all done! One more tip: add a scrunchie pony holder to your bun to increase the volume if you have thin or short hair. These are just a few basic ideas but there are so many more out there to experiment – be original! Once you get used to wearing a pre-tied bandana you’ll start wondering how you ever lived without one! All The Information You Need To Know About Winter 2014 Styles and Trends! Now that winter has started showing its face, just thought you could use some heads up on stylish winter hair accessories and head coverings this season. For all you fashion lovers and those who keep up with the styles, before you get rid of your fall collection – you may want to know that lots of the Fall styles are actually still in! So take a deep breath, relax and take a look at Winter 2014’s fashion trends. When winter comes in, we automatically start looking at warmer wintry fabrics. It’s time to switch the cotton slouchy beret for an angora hat, your chiffon head wrap for an elegant velvet, and your belgium knit snood for a cozy chenille snood! Even hair bows on your little girl look so much more wintery in fur or leather. As far as colors, this winter we are still seeing the dark yet colorful autumn colors with the addition to some more colors in the same tone such as eggplant, taupe, etc. Don’t forget to wear these colors in shiny leather to really have the effect you’re looking for. There are lots of hot prints this season. From funky to classy and everywhere in between, you are sure to find one that suits you best! In addition to plaid still being in this season, check is one of the hottest prints right now. Wear check handbags or scarves to stand out in a bold way and make a statement. Check and plaid can be worn in a funky way with lots of different colors as well as in a bold a classy way in black and white. For a classy look, you can choose between houndstooth which is rapidly making it as one of the hottest prints or winter florals. Try wearing a houndstooth pre-tied bandana or an israeli tichel headscarf with a wintery floral pattern to finish off your outfit. The Camouflage print can be worn in any way you want! In pastel colors, rusty colors or army colors try wearing a camo cap and make heads turn! Of course, for those still getting used to the animal prints form the fall, they are still in and going strong – so hands up for all you leopard print lovers! Most of all, make sure to stay warm in these cold winter days and to make sure that you think wisely when purchasing winter hats. Sticking to angora and fur and anything thick and soft is probably your best bet since they are really warm and comfortable. Of course however, why not be warm with style! So with no time to waste, start shopping and find head coverings that are both stylish and comfortable! Are You Ready For Winter? Get All Geared Up To Face The Storm! Start putting your winter emergency kit together so you can be prepared to face the cold winter when it comes right at you – because ready or not, here it comes! As the Winter is slowly approaching and the morning coolness is actually lasting all day, let’s get ready to take this season in with style. So instead of getting ready to hibernate for the next few months, simply start putting your winter emergency kit together so you can be prepared to face the cold winter when it comes right at you – because ready or not, here it comes! So what exactly is a winter emergency kit? Well, it’s just about everything you wish you had on you when you are out in the unbearable cold. The best part is, most of the most necessary things are pretty small so they can fit right into a purse, bag, pocket book, etc. that you are carrying around anyways! Below we put together a list of some crucial things you might want to put in your emergency kit but you know yourself best so besides for the things we recommend try and think of the little things you could see yourself needing. No one likes red ears or catching a cold- keep a warm hat on you at all times to retain the maximum heat possible. For those of you who are scared to ruin your hair with a hat or get it all staticy, try wearing a slouchy beret which will cover your ears and allow you to still look good when you take it off. Don’t let the snow, winds, static or any of the other winter blues get to your hair style. Carry a mini pocket brush around so you can fix your hair whenever and wherever. Try getting a 2 in 1 pocket brush and folding mirror so you can also see how you look. No one wants to be stuck anywhere with a runny nose and no tissues so make sure you have your pocket tissues at all times in case of emergency. If your hands get dry and crack from the cold, a little hand cream may be really convenient to carry along since the dryness may get really painful and start to bleed. Just in case you go out in the wind or snow and you don’t want your hair blowing in your face, a pony holder is the perfect thing to have to keep your hair out of your way and keep you as comfortable as possible. Of course, these are just some basic things we came up with, but if you can think of anything else that would help our other readers please comment so that they can be fully prepared as well! The next stop on our world hat tour will be…..Asia. And here we can find some really cool and interesting hats. Korea: Ever heard of the Ayam? 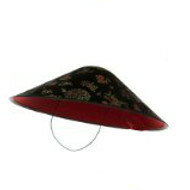 It’s a really cool looking hat that was worn basically by Korean Women from 1392 till 1910 as a winter hat. It was made from silk and fur during the Joselan period. The Ayam was worn mostly by female commoners. 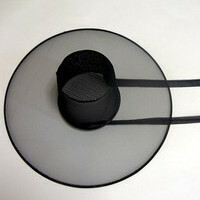 China: One hat with a really exotic name is the Phoenix Crown Hat or Coronet. This was a really spectacular looking hat that was worn by noblewomen mostly in the Ming Dynasty (the ruling dynasty of China from 1368 to 1644) this hat, which was more of a headdress could have over 5000 pearls and 100 gemstones sewn into it! The heads of the Chinese Han officials during during the aforementioned Ming Dynasty, usually covered up with a black hat that had two flaps (sort of like wings) made of thin, oval shaped boards on each side. The hat was called the Wushamao and the common folks were not supposed to be wearing one of these headdresses unless they were the lucky guests attending a wedding ceremonies or event, (Party anyone?) involving noble families or officials. And now a stop in Burma (Myanmar). The Gaung Paung ( for those that don’t know it means headwrap) is a hat that is not so different looking then a turban and is traditionally worn by the Shan, Rakhine and Mon peoples. Depending on the wealth of the owner it is either made from silk or cotton. Its mostly a ceremonial piece of headwear and if you look closely you will know the ethnic group of the wearer as each ethnic group wears it slightly differently. Cambodia/Vietnam: We’ll round up our tour of Asia with the most famous Asian Hat of all the Conical shaped hat which is really worn by farmers throughout Asia. Some know it as a “coolie” hat, though as Wikipedia notes now-a-days many find that term offensive. It’s called a conical hap ’cause thats it’s shape, a cone, and it has a strap that goes under the wearers chin keeping it in place. The point of the hat is mostly for sun protection. Well that wraps up the Asian portion of our tour. Follow the MyHeadcoverings BLOG to make certain you don’t miss Part 3 of our World Hat tour! Hats are great. They’re stylish, they’re fun, and all in all make great head coverings. But did you know that they also form an essential part of national ID around the world. Take a look around the world and what you’ll see is a dizzying array of Hats and Caps in all of the colors of the rainbow! So in the spirit of the summer travel season lets start a world -wide hat tour.We’ll start our tour in Europe. Italy– Well Italy gave us hats you could say. The word Millinery is similar to Milan for good reason, it was coined as the term used to refer to hats coming from Milan,Italy the location of the worlds best hat makers in the 18th century. 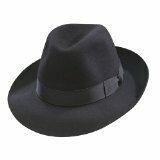 No stop in Italy would be complete without a visit to Alessendria, the place in Italy that hosts the Borsalino factory makers of the famous Borsalino felt hats which are made from belgian rabbit fur. 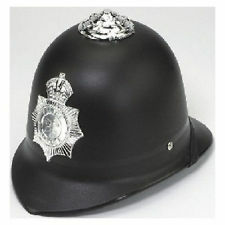 England– Come on, any world wide tour of Hats has to have a stop in Britian to see the Helmet worn by the British Bobbies (policemen) when they are on patrol and while we’re in Great Britian, lets take a look at the Beerskin a tall furry hat worn by the Guards that are in charge of guarding the Queen in Buckingham palace. Scotland– Crossing into Scotland where we’ll see a hat with a poetic name that does the people of this fair country justice, the Glengarry. 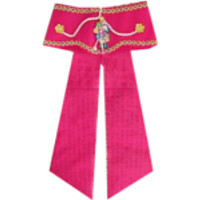 Its shaped like a boat, without a peak, made from a thick woolen material, has a rosette cockade on the left and ribbons hanging down. 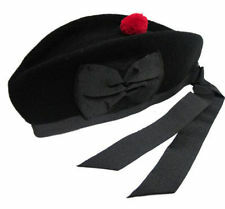 It is normally worn as part of the dress of the Scottish Military. Spain– Its not to far from England but Spain has a hat that it gave us too! The Cordobes are a flat brimmed hat with a flat top that originated in Cordoba Spain. Do you want to know how it looks? Well if you know anything about the Mask of Zorro you’ll recognize it, the hero has one as part of his costume. Iceland– It’s a tiny country to be sure but Iceland has a cap that’s part of the traditional national costume, its the Icelandic tail-cap. Enter your email address to subscribe to the MyHeadcoverings.com Blog and receive notifications of new posts by email.